I won’t talk here about Ellington, Coleman, Davis, Monk, Armstrong, Mingus, Coltrane, Bird, Evans or any other sacred cow of jazz. They’ve talked about too often and their life and work have been more than extensively covered worldwide. Those who love jazz certainly have heard a lot about all of them and they deserve all the praise, hands down! I’ll pay homage here to someone who has been consistently doing very good jazz now for more than forty years and may fill one or more of the behaviors described above. Otherwise, those who love jazz own him much, much more recognition, for he’s someone who rarely, if ever, has done a lesser work and has been enhancing the life of this art listeners for as much time as he is on the road. What he’s doing all these years is telling histories full of drama, enchantment, happiness, sadness, tenderness, anxiety, expectancy, hope, exhilaration, unpredictability, urgency and all the many other necessary ingredients they demand! His music is plenty of expressiveness; just like life. For me, music is emotion; must have ups and downs, pianissimos and fortissimos; must be visceral, organic, emotive, and all this should be in the heart of the artist, or it won’t fulfill its mission. I crave emotional tales and, so, need some good story tellers and the artist heralded here is one of the best. His name is Steve Kuhn and he plays the piano! This began with the 1974 solo album, Ecstasy--recorded at Eicher's suggestion a day after the session that resulted in the 1975 group record Trance, reissued on CD by ECM in 2005. Kuhn has since released six more discs on ECM over the next three decades, the most recent being Promises Kept (2004), a rare meeting of jazz and strings that avoided all tendencies towards the saccharine while, at the same time, remaining deeply beautiful. With only three of Kuhn's eight discs available on CD (four counting the limited edition Japanese release of Ecstasy), Life's Backward Glances - Solo and Quartet begins to right a major wrong by making Ecstasy, 1977's Motility with his Ecstasy quartet, and 1980's Playground, with vocal legend Sheila Jordan, available as a three-CD box set, complete with liner notes by Bob Blumenthal. There's considerable cross-over of material; Kuhn's not a prolific writer, but he has managed to turn a relatively small repertoire into a profoundly meaningful one. With two very different quartet contexts augmenting the solo disc--both featuring a traditional piano-bass-drums foundation, but one featuring woodwind multi-instrumentalist Steve Slagle, and the other with Jordan bring a lyrical interpretation to Kuhn's writing--Life's Backward Glances refracts Kuhn's music through three very different prisms, each with its own set of colors and undeniable charm. Recorded the day after the sessions for Trance--featuring bassist Steve Swallow, drummer Jack DeJohnette and percussionist Sue Evans--was complete, it's no surprise that Kuhn would revisit some of the same material, but this time in the more liberated context of a solo recording. By this time ECM had almost single-handedly revived the art of solo recording--piano in particular, with seminal entries from Keith Jarrrett (1972's Facing You), Chick Corea (1970's Piano Improvisations Vol. 1 and 1972's Piano Improvisations Vol. 2) and Paul Bley (1973's Open, To Love)--and Kuhn's addition to ECM's canon, not surprisingly, possesses its own unique personality. Kuhn's writing--always lyrical, sometimes melancholy and always bearing the potential for descent into a tumultuous maelstrom--is a dramatic, swirling chaos but one from which Kuhn invariable manages to escape, returning to the vivid melodies that define his compositions. The opening "Silver" is also performed solo in Trance, but here he extends it to nearly triple the length, beginning in spare impressionism before gradually introducing a kind of flexible time. Dark-hued, Kuhn's free association allows this initially poignant lament to gradually turn more forceful, while never losing its evocative core. "Prelude in G" is a spontaneous creation yet, much like Jarrett, Kuhn possesses a remarkable ability to pull form from the ether, with a simple arpeggiated pattern gradually dissolving into greater anarchy, building to a turbulent climax that ends almost as suddenly as it begins. "Ulla," which would resurface years later as the title track to his return to ECM, Return to Tomorrow (1996), holds the closest markers to the jazz tradition. At a time when artists were oftentimes turning away from that tradition, for Kuhn it was always a fundamental component of who he was. Still, its changes--linked by passing notes to create a chordal foundation for Kuhn's singable theme--feel somehow inevitable even as they sound new and fresh. "Life's Backwards Glance"--perhaps Kuhn's most often-recorded original (appearing on Trance, Ecstasy, Playground, Remembering Tomorrow and Promises Kept)--is, like a well-heeled standard, a song that provides expansive grist for constant reinterpretation. It's also one of a number of songs that, while interpreted here instrumentally, have provided Kuhn a vehicle for his poetic muse. A rubato tone poem on Trance, a day later it becomes a stream-of-consciousness forum for Kuhn, while ultimately evolving into a similar space, Kuhn's virtuosic cascading lines creating the same sense of power that it took an entire rhythm section to evoke on Trance. Motility debuts Kuhn's working band Ecstasy, featuring saxophonist and flautist Steve Slagle, bassist Swartz (later to become simply Harvie S.) and drummer Michael Smith, who would be replaced by Bob Moses for the group's follow-up, 1978's Non-Fiction. While working in a group context inherently imposes certain structural necessities, Ecstasy managed to retain much of the temporal elasticity and broader impressionistic ambience of Kuhn's solo effort. While everyone shines on Motility--perhaps most notably Smith, if only because he's as paradoxically powerful yet empathically sensitive as other drum mainstays of the label at that time (DeJohnette, Jon Christensen and Michael DiPasqua), who after this recording appears to have disappeared off the face of the planet-- but more in the "everyone soloing and nobody soloing" manner that the late Joe Zawinul used to describe his longstanding group, Weather Report. That said, other than a collective approach to interpreting Kuhn's six compositions and Swartz's two, there's little to link Ecstasy with Weather Report--even the early, more spontaneously improvisational version responsible for the 1971 self-titled debut and 1972's I Sing the Body Electric, both on Columbia/Legacy. Kuhn's ability to evoke vivid imagery hits with the album opener, the aptly-titled "Rain Forest," where Kuhn's delicate pianism interacts with Slagle's flute to create a cinematic vision, Swartz's deep arco anchoring this rubato excursion into collective interaction. "Oceans in the Sky" is more dramatic, an ideal follow-on to "Rain Forest," that takes similar ideas and infuses them with greater power, as Smith's dry cymbal work and fervent rolls around the kit create a paradoxically ethereal yet unmistakable sense of forward motion that, coupled with Kuhn's cascading lines, conjures up images white-capped waves. Slagle, this time on soprano sax, provides the melodic strength even as he plays with Dave Liebman-esque energy and expressionism. Swartz, who would also appear on ECM with his own collaborative group Double Image for its sophomore release, Dawn (1979), would go on to focus his energies on Latin jazz, but here--as well as on a series of duet albums with Jordan that took place after their first encounter in Kuhn's group on Playground and its follow-up, the live Last Year's Waltz (ECM, 1982)--he's more stylistically expansive. He's also far more than a rhythmic anchor in a group that encourages interplay and democracy. His two compositional contributions to Motility--the bold yet lyrical "Catherine" and high velocity album closer, "Places I've Never Been"--a burning samba that foreshadows things to come--demonstrate an already well-developed writer (he was under 30 at the time of this recording), and a virtuoso player capable of blinding speed who, rather than using it as an end unto itself, never abandons finding imaginative expansions on the essence of song. Kuhn may have managed to get one example of his odd poetry out on Trance ("Life's Backward Glance"), and had already recorded an album with Karin Krog singing a number of his songs (We Could Be Flying, P-Vine, 1974), but it wasn't until he took his group with Swartz and Moses, and replaced Slagle with Sheila Jordan, that he was able to record an entire album devoted to his music and lyrics. Four of the tunes had already appeared on previous ECM discs--"Gentle Thoughts" (as "Thoughts of a Gentleman"), "Poem for No. 15" (as "The Saga of Harrison Crabfeathers"), "Deep Tango" and the perennial "Life's Backwards Glance." But the two other tracks on Playground--"Tomorrow's Son" and "The Zoo"--had past lives under different names as well. But with the inclusion of a vocalist, Kuhn's approach to the material had to change significantly, most notably with a firmer, more clearly defined pulse--at least during the passages where Jordan was singing. The group also swings more, and while ECM at that time in particular was known for its almost intentional avoidance of such traditional markers, in the context of Kuhn's music it worked because it was only a part of what he was doing. Still, "Gentle Thoughts," which begins as a rubato duet between Kuhn and Jordan that finds the singer at her subtlest and most nuanced, ultimately kicks into an amiable, mid-tempo swing for Kuhn's lazy, behind-the-beat solo that's sparer and more percussive than usual as Jordan occasional joins in for some in tandem improvisation. Swartz's opening solo on "Poem for No. 15" leads into a duet with Jordan that may well have been the germination of future, more exclusive duet efforts. Regardless, the song ultimately morphs into another example of Kuhn's ability to create dynamic juxtaposition, impressively bolstered by Swartz and Moses, who again act as equal partners rather than simply supporting roles. "Deep Tango" receives a lengthier treatment than on Motility, with Jordan's wry delivery matching Kuhn's clever lyrics and the trio's buoyant performance. Curiously, while Kuhn's lyrics to "Life's Backward Glance" on Trance take the form of a spoken word narrative that sets up the music to follow as a story to be told, here it's done in reverse--the instrumental intro takes up more than half the tune's five minute duration, with Jordan entering close to the song's end with a completely different set of lyrics that more directly address its title. The group's follow-up, which, like Non-Fiction, will hopefully see first-time issue on CD as well before long, changes the complexion--a set of ten tunes, only half of which are Kuhn's--making Playground significant as the only album to focus exclusively on the pianist's music and lyrics. Playground's exclusivity also makes it the perfect match for Motility and Ecstasy. Combining these three albums in one box undeniably helps get out some of ECM's remaining discs yet to see the light of day on CD. But it's the box's emphasis on Kuhn the writer that makes Life's Backward Glances - Solo and Quartet an important release that will introduce an significant aspect of Kuhn's talent to an audience largely unaware that he's far more than a relentlessly talented interpreter of other peoples' material. Tracks: CD1 (Ecstasy): Silver; Prelude in G; Ulla; Thoughts of a Gentleman/The Saga of Harrison Crabfeathers; Life's Backward Glance. CD2 (Motility): The Rain Forest; Oceans in the Sky; Catherine; Bittersweet Passages; Deep Tango; Motility/The Child is Gone; A Danse for One; Places I've Never Been. CD3 (Playground): Tomorrow's Son; Gentle Thoughts; Poem for No. 15; The Zoo; Deep Tango; Life's Backward Glance. Steve Kuhn: piano; Steve Slagle: soprano and alto saxophones (CD2), flute (CD2); Harvie Swartz: double-bass (CD2, CD3); Michael Smith: drums (CD2); Sheila Jordan: voice (CD3); Bob Moses: drums (CD3). Mostly Coltrane is pianist Steve Kuhn's venerable ode to his onetime employer, John Coltrane, with whom he played for eight weeks in early 1960 at New York City's Jazz Gallery. Kuhn revisits those seminal days without ignoring Coltrane's later period advancements, extrapolating his controversial innovations with rare lyricism and tenderness--a uniquely beautiful tribute unencumbered by nostalgic sentimentality. Mirroring the instrumentation of Coltrane's Classic Quartet, (which featured pianist McCoy Tyner, bassist Jimmy Garrison and drummer Elvin Jones), Kuhn is joined by his regular associate, bassist David Finck, veteran tenor saxophonist Joe Lovano, and in-demand drummer Joey Baron. Expanding on the Classic Quartet's advancements in modal harmony and rhythmic displacement, Kuhn, Lovano, Finck and Baron balance individual expression with focused group interaction. Digging into these sonorous themes with simmering intensity, they expound on the original Quartet's collective spiritual fervor with restrained dynamics. One of Coltrane's most elegant compositions, “Welcome” from Kulu Se Mama (Impulse!, 1965), opens the album, followed by an inspired version of “Song of Praise,” setting a stately tone for the majority of the session. Kuhn also returns to the standard tunes he played with Coltrane--”Central Park West,” “The Night Has a Thousand Eyes” and “I Want To Talk About You,” highlighting the quartet's congenial rapport and effervescent lyricism. Surveying the untapped potential of Coltrane's late period, the quartet covers a number of recently discovered tunes. “Configuration” and “Jimmy's Mode” made their premier on Stellar Regions (Impulse!, 1967), posthumously released in 1994, while “Living Space” was recorded in 1965--with the album of the same name unreleased until 1998. Although the majority of this date elicits a serene, ruminative view of Coltrane's legacy, there are moments of unfettered bliss that acknowledge the master's move towards abstraction. “Configuration” is the most visceral--a bristling excursion fraught with Baron's pneumatic salvos, the leader's quicksilver cadences and Lovano's intervallic torrents. Interestingly, Kuhn shares none of the stylistic traits of Coltrane's primary pianists, sounding unlike Tyner or Alice Coltrane. Kuhn's feathery touch and delicate, dancing filigrees amplify the melodious lyricism at the core of Coltrane's most impassioned work with a harmonic density that maintains crystalline clarity, even in the most frenetic passages. Kuhn's original contributions, “With Gratitude” and “Trance”--introspective solo piano meditations that ebb with timeless beauty--reveal the master's influence without resorting to imitation. A heartfelt, regal homage to one of the idiom's most celebrated artists, Mostly Coltrane is a superlative tribute album, breathing new life into acknowledged masterworks. Welcome; Song of Praise; Crescent; I Want To Talk About You; The Night Has a Thousand Eyes; Living Space; Central Park West; Like Sonny; With Gratitude; Configuration; Jimmy's Mode; Spiritual; Trance. Steve Kuhn: piano; Joe Lovano: tenor saxophone, tarogato; David Finck: bass; Joey Baron: drums. 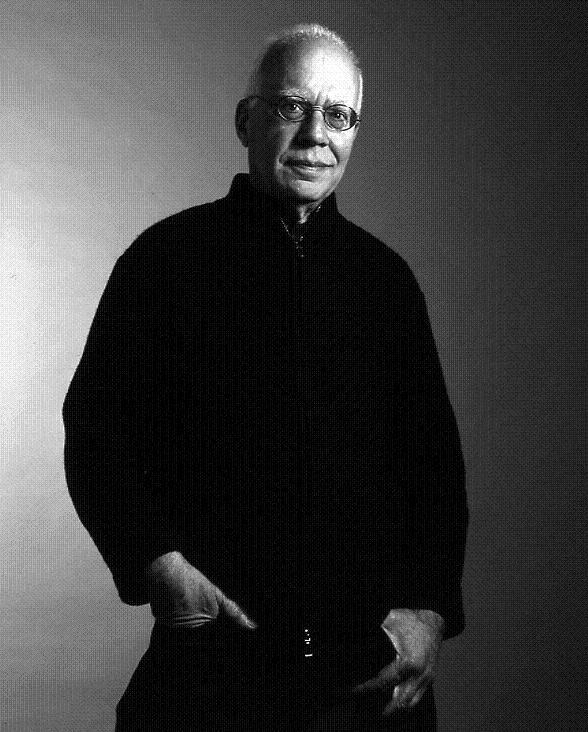 Steve Kuhn has been recording professionally for close to five decades, most of which time he's operated stealthily, rarely achieving the level of recognition he so richly deserves for contributing his immaculate pianistry to a range of jazz greats who have included John Coltrane, Stan Getz, Ornette Coleman, Art Farmer and others, or for leading his own diverse bands. In the mid-'80s Kuhn worked briefly in a trio setting with bassist extraordinaire Ron Carter and drummer Al Foster, cutting a pair of releases, The Vanguard Date and Life's Magic. Two decades later, that trio reconvened at New York's Birdland, and this exquisite aural document of their performance serves as a reminder that, at close to 70, Kuhn is one of jazz piano's unheralded giants. He is as sharp, imaginative and dexterous as he was during his younger years, and with Carter and Foster he is at home -- the musicians reportedly didn't rehearse for these shows, yet they sound as if they'd been at one another's sides for the past 20 years. At Birdland, the trio revisited four compositions that appeared on the earlier albums: Kuhn's own "Clotilde" and "Two by Two," Carter's "Little Waltz" and the Fats Waller standard "Jitterbug Waltz," the latter deconstructed into an 11-minute tour de force that, like much of the music in the set, allows the three musicians to explore a number of tempos, moods and tones. Kuhn, Carter and Foster alternately strut individually and lock intuitively into an airtight groove that takes surprising and pleasing twists before returning to the initial theme. Whether on the opening track, Frank Loesser's "If I Were a Bell," the fusing of Debussy's "La Plus Que Lente" and Billy Strayhorn's "Passion Flower," or the closer, Charlie Parker's "Confirmation," Kuhn establishes a template with light and sensitively executed solo figures before opening things up for all to take off to places unknown. There's a fine balance of simplicity and complexity at work here, but perhaps because he no longer needs to prove anything at this stage in his career, Kuhn seems to have lightened up -- the experimentalism of his ECM period has given way to an approach that is, while still at times blindingly intense, simultaneously light and playful. It's not a bad place for a master to be. The verve of a duet recording between pianist Steve Kuhn and electric bass guitarist Steve Swallow cannot be underestimated. An inherent telepathy, shared concern for beauty, and high level of musicianship should lead one to believe, on paper, that this would be a perfect joining, and indeed it is. So many outstanding pieces highlight this disc, especially considering they play no standards. Of Kuhn's compositions, you get the stunning "Deep Tango," with its stop-start tendencies, and Kuhn vocally reciting "Poem for #15" (never previously recorded with the verse), also known as "The Saga of Harrison Crabfeathers." Both of these classics were previously heard on the ECM recording Playground, which Kuhn did in collaboration with Sheila Jordan. There's the bluesy title selection, the fun "Mr. Calypso Kuhn" (rivaling the Sonny Rollins evergreen "St. Thomas"), and the utterly gorgeous "Gentle Thoughts." Swallow assimilates legitimate single-string high-octave guitar leads on "Deep Tango" and "Gentle Thoughts," but sticks with traditional basslines on most of the record, and he is an unquestioned master at that. His compositional contributions are his more famous than ever melody of "Eiderdown" (a great rendition), the noir drama samba "Ladies in Mercedes" (popularized by Carla Bley), and the spirit waltz "Remember." All pieces are played with a modern luster and shine rivaling a mirror-like polished piece of chrome. Whether pristine and pretty, pensive and moody, or bright and bouncy, Kuhn and Swallow consistently deliver a timeless recording that should stand all tests of time, and is definitely recommended. Recorded in 1989 for Owl Records and finally reissued, Oceans in the Sky is a timeless gem from impressionistic veteran pianist Steve Kuhn. Although he was John Coltrane's original pianist and worked with Stan Getz and Art Farmer, Kuhn's detour into electric piano, commercial music and accompaniment (most notably for Sheila Jordan) has to some extent diluted his pedigree. It's good to be reminded of his gifts, which include lyricism and taste and composition; his title track is powerful and harmonically intriguing, and “Ulla” is lovely. Kuhn's tastefulness is also evident in his choice of, and approach to, material. Frank Lacey's thoughtful and pretty “Theme for Ernie” is rarely covered; the Jobim he picks is “Angela,” one of the less hackneyed in the pantheon; and he gives a new pulse to “The Island.” Being a third-stream fan, I especially enjoyed how he wove Debussy's “La Plus Que Lente” into a samba version of Ellington's “Passion Flower” with no seams showing; he also pairs “His Is the Only Music That Makes Me Dance” with Satie's “Gymnopedie,” while straining all the Streisand schmaltz out of Jule Syne's beautiful Broadway showstopper. Kuhn swings hard on Dorham's “Lotus Blossom” and subtly on Brubeck's “In Your Own Sweet Way.” Drummer Aldo Romano contributes the pretty “Do” as well as sensitive and unobtrusive percussion. It's good that Miroslav Vitous is a strong bassist, since Kuhn tends to lean towards the treble side of things. Oceans in the Sky is an understated and graceful outing – delicious. I can probably count on the fingers of one hand the number of jazz “with strings” records that 'work' for me. This is a somewhat mysterious phenomenon as jazz and improvised music is food to me. As necessary as oxygen. Along those lines, a good string quartet is a thing not only of beauty ... it is beauty. But then you go and mix these things together and, well, they don't wanna mix. Here I'm thinking of many of the musics labeled “Third Stream.” This was jazz mixed with classical. In its more knotty forms it was a load of fun. But sometimes, that stuff just didn't want to be blended and the result was dense, turgid and waaaay too serious. There are of course, counterexamples in jazz. Take Charlie Parker with Strings. It's basically flawless. I mean, it is Charlie Parker. So, you might be thinking: Steve Kuhn? Yeah, not exactly a household name to the casual jazz fan. This is too bad though, as Kuhn has written some fantastic music over the years and has played and recorded with an impressive list of jazz stars including Kenny Dorham, John Coltrane, Stan Getz, Art Farmer, Steve Swallow, Tom Harrell and Joey Baron. Kuhn goes on to say that the strings seem to bring out the emotion in the music. I couldn't agree more. This is a sort of musical travelog through Steve Kuhn's life. It obviously means a lot to him, but we can all take something from it. The lineup on Promises Kept says it all: Steve Kuhn with strings. Kuhn is a jazz pianist whose recordings may have been out of the jazz mainstream for most of the five decades his career has spanned, but it hardly matters. Kuhn's style is signature, though his explorations have taken him to many different terrains in the world of jazz, from knotty post-bop to pointillism and modalism and through the nefarious world of 20th century vanguard composition to the place where listeners find him now: the place of a supreme and unabashed lyricism that is as sophisticated and forward-looking as it is historical and inclusive. Bassist David Finck is also present here; his trademark loping style has been a fixture on Kuhn's recordings since 1986. Conducted and orchestrated by Carlos Franzetti, this 15-piece string orchestra offers a lush yet poignant collaborative sphere for Kuhn to work his considerable harmonic magic. Kuhn composed all ten pieces. Some are well-known items in his oeuvre; others were written specifically for this recording. They vary in range, mood, texture, and depth of field. The album opens with "Lullaby," its sheer nocturnal elegance kissed by quiet joy. The bittersweet emotionalism of his classic "Life's Backward Glance" becomes a credo for the entire album. Beginning with a series of brooding washes by the cellos and tempered by a pastoral reflective series of chords and ostinatos, it becomes the haunted song of reverie as tempered by a sense of the fleeting present. "Trance" offers an elongated string introduction, whereby the feeling of time's suspension pervades in the violas and cellos until the repetitive, songlike melody line slips into the middle between them and the violins caress the entire mix. Here romanticism and jazz entwine in the body of Kuhn's harmonic structures, shimmering through a luxuriant mirror of musical history. And the title track, an homage to Kuhn's Hungarian immigrant parents, waltzes and glides between Old Europe and a far more romantic vision of America than exists today. It is formal and carries within it a wistful kind of romanticism that is seldom heard in modern music. In sum, this is one of the finest recordings Kuhn has ever issued. Simply put, for all the decades spent adventuring on the boundaries where various traditions blur, the pianist and composer articulate direct emotion as the most effective communicator here, no matter what terrain is navigated in form. A breathtaking and intimate outing, this is a career-topping effort. Steve Kuhn is in a fun-loving mood on this trio date from 1990, accompanied by bassist David Finck and drummer Lewis Nash. His one original of the session, "Looking Back," is full of humorous moments in a driving post-bop setting, and his lagging a bit behind the beat while giving Dave Brubeck's "The Duke" a bit of an oriental sound at times is almost tongue-in-cheek. But not everything is played with a twinkle in his eye; "Stella by Starlight" is lush and dramatic, as is Michel Colombier's pretty ballad "Emmanuel." Kuhn captures the droll mood of the golden oldie "Gee Baby, Ain't I Good to You" with a campy, almost country-flavored approach. This is an outstanding date by a veteran musician who's always deserving of wider recognition for his efforts. Steve Kuhn is generally not thought of as a solo pianist because he has rarely recorded in that format, but this 1990 concert at Maybeck Recital Hall is one of his most memorable releases. "Old Folks" is a chestnut favored by a lot of swing and bop pianists, but Kuhn's unique approach to it explores a larger range of the keyboard than most players, while powering it with a striding bassline that alternates a lot more than one would expect. He has a lot of fun introducing Miles Davis' "Solar," at first playing around with what sounds like a Scottish dirge and sneaking into a bit of the song while giving it an Oriental flavor, before getting down to business. Both "I Remember You" and "Autumn in New York" are long but fascinating interpretations, as the pianist deconstructs and rebuilds each of them with very fresh approaches. This very satisfying concert CD is well-worth acquiring. Steve Kuhn shares some of his personal favorites, joined by bassist David Finck and drummer Lewis Nash during this 1992 studio session. Branislaw Kaper's "Gloria's Theme" is an overlooked gem originally written for the movie Butterfield 8; the trio's strutting take exudes a confident air. The pianist reworks "Upper Manhattan Medical Group" into a bop setting, while occasionally adding tension equal to awaiting a doctor's opinion. "In a Sentimental Mood" is rather deliberate, enhancing its already romantic quality. "Sometime Ago," a piece beloved by both Art Farmer and Bill Evans, is also slowed down considerably, showcasing its lyrical theme with a beautiful solo by Finck. In addition to inspired treatments of Tadd Dameron's "Good Bait," Mal Waldron's "Soul Eyes," and Mel Tormé's "Born to Be Blue," his original "Years Later" is an absolute treat. Recommended. The great jazz pianist Steve Kuhn tackles well-known standards and not so familiar compositions by performers such as Brazilian guitarist Dori Caymmi, bassist Steve Swallow and a contribution from saxophonist Bob Mintzer on Seasons of Romance. The opener, saxophonist Bob Mintzer's piece titled, “Six Gun” is an ebullient, mid-tempo swing while Kuhn's easily-recognizable or patented elegance and signature style is notably portrayed from the onset. Kuhn's flair and casual poise ride atop the skillful rhythmic articulations by veteran and highly esteemed bassist George Mraz in collaboration with the inimitable jazz session drummer, Al Foster. Here, Kuhn's intelligent comping and sweeping lines aid Mintzer's breezy and lyrically rich tenor sax solo. Kuhn displays his romantic side on Dori Caymmi's touching, “Romance” while trumpeter Tom Harrell joins Kuhn, Mraz and Foster on his original composition, “Visions of Gaudi.” The trumpeter's majestic yet smooth, sleek tone and poignant phrasing equalize Kuhn's reflective or soul-searching performance as they comfortably dance through another persuasively memorable composition. Kuhn is in stellar form on Steve Swallow's piece, “Remember” while demonstrating impeccable technique and emotive characteristics via stylish utilization of tremolo, subtle inflections, swirling chord progressions yet most of all, the remarkable synergy he and Harrell enjoy as the primary soloists. Kuhn directs the rhythms with an active left hand on his swinging original “Looking Back” as the pianist and Harrell once again engage in smooth, airy interplay while Kuhn pushes and prods the band in a quiet sort of way! Steve Kuhn's remarkable inventiveness, truly distinctive sound and style, melodic gifts and cultivated approach place him among the vanguard of modern day jazz pianists. Seasons of Romance proves that notion in elevated fashion! Steve Kuhn: piano: Bob Mintzer: tenor saxophone; Tom Harrell: trumpet; George Mraz: bass; Al Foster: drums. I met my friend, Mr. Carlinhos C.B., at a local record shop, and while he was checking out some cd's, there was a copy of Steve Kuhn "Remembering Tomorrow", from ECM. He asked me if it was good ? I told him that if there was only one to buy, Mr. Kuhn' s was the right choice. All songs are originals from SK, except the track "Emmanuel"; each one beautifully played by the pianist, in company of two super musicians: bassist David Finck and drummer Joey Baron, by the way this is one Mr. Baron's best recording, it's just superb ! This recording is a true masterpiece ! A great trio at their peak ! If you don't know this release, I urge you to buy, clone, borrow, etc. The first of Steve Kuhn's several CDs for Reservoir is a multifaceted trio session with bassist David Finck and drummer Billy Drummond. Kuhn opens with a pair of enjoyable originals, the gliding post-bop "Dedication" and "The Zoo," cast as a melancholy bossa nova. He does justice to two compositions by bassist Steve Swallow, the well-known "Eiderdown" and the more obscure "Please Let Me Go," both of which prominently feature Finck's superb playing. His fresh, somewhat darker approach to Kenny Dorham's catchy "Blue Bossa" starts subtly but grows in intensity. Nor does the leader ignore standards. His bright, swinging take of "It's You or No One," the lush setting of "For Heaven's Sake," and a loping waltz treatment of "Like Someone in Love " all merit high praise. A neglected figure in the overall scheme of modern jazz, perhaps this magnificent recording from the veteran pianist Kuhn will somewhat salve that wound. He is masterfully impressionistic, skillful as any, extra-lyrical, and his talent is in full array with substantive help from bassist David Finck and drummer Billy Drummond. In his flowery liner notes, Rafi Zabor refers to Kuhn's sound as that of utter "refracted beauty" -- a concise and apt a description for Kuhn's consistently brilliant musings. The bulk of the program is standards, reharmonized as the quick-witted John Coltrane title track, the lilting endless melody streams tacked on to "Four," or the "Milestones"-tagged version of "Speak Low" showing that as Kuhn is deep, he's also clever. Adapting "Why Did I Choose You?" as if walking on eggshells with a slight samba beat, Kuhn's dancing figures are steps he invents. Finck's singing bass solo accents the laid-back Benny Carter evergreen "When Lights Are Low," and Kuhn's take on "She's Funny That Way" expands further on this already exceptional melody. There are three of Kuhn's originals, totaling a mere 12 minutes. A recap on the piece from his Sheila Jordan phase, "Last Year's Waltz" gets a regret-filled rubato treatment seen through lavender-colored glasses. "Chalet" is as elegiac as any snow covered mountain home, while "Tomorrow's Son" is a rhapsodic, free entity with more cascading piano. Steve Swallow's "Wrong Together" is also included, weeping with even-keeled swing and repeated inquisitions as to why. This music clearly inspires all kinds of lush, regal imagery. It is Kuhn at his best, one of the more soul-stirring piano trio CDs of recent hearing, and a joy to listen to more than just once. For the past several years, the Reservoir label’s New York Piano Series has been the forum for some of the best piano trio records in recent memory. Although earlier presenters in the cycle included Kenny Barron, Rob Schneiderman, John Hicks, and Hod O’Brien, Reservoir has really hit a gold mine by signing on Steve Kuhn. Although not as well known as let’s say Hank Jones or Tommy Flanagan, Kuhn is equally proficient at exploiting the piano trio format for all it’s worth. A superb follow-up to his previous two Reservoir sides, Dedication and Countdown (both come highly recommended if you don’t already own them), the trio assembled for The Best Things is a working band with David Finck on bass and Billy Drummond on drums. These three men were all on the same page after the week in the clubs that preceded this recording session and you can tell that they delved into the material, hand-selecting new phrases and developing a three-way conversation that reveals true craftsmanship of the highest order. A highly original player, Kuhn’s style is characterized by a synthesis that takes the best of the be-bop language and borrows emotionally and structurally from such contemporary composers as Bartok, Milhaud, Stravinsky, and the like. A case in point, Kuhn’s marvelous re-working of Bird’s “Confirmation,” which opts for an opening that recalls a proper British march (maybe Percy Grainger? ), only later to ignite with furious bop-inflected passages and Drummond’s solo fireworks. By contrast, “A Portrait of Jennie” is delicate bliss, Kuhn’s statements unfolding with sophistication and poise. The closing “Adagio” also should be mentioned, as it makes thoughtful use of Luciana Souza’s wordless vocals, Norma Winstone’s comparable work with Kenny Wheeler being an obvious influence. Great jazz, such as this, always maintains its longevity because each new hearing reveals added nuances and further pleasures. While forgiving the obvious pun, The Best Things certainly lives up to its title while currently holding its position as one of the best piano trio discs to come along in 2000. Though he's been an inimitable sideman for jazz legends like John Coltrane, Stan Getz and Arts Farmer and Blakey and though he's been leading his own first-rate groups for decades, Steve Kuhn has never become a household name. Like his frequent (and equally idiosyncratic) collaborator Sheila Jordan, he's better known abroad than here, both in Europe and Japan--which is where this new disc comes in. For Pastorale, actually, is not new--it's the overdue American release of a superb trio session done five years ago for the Japanese label Venus, under the title Waltz (Red Light). That Sunnyside has taken it upon itself to release it here and at a reasonable price (until now, it was only available as a costly import) is a terrific service to both Kuhn and his listeners. The only complaint is, what took so long? Kuhn's dabbled in many forms over his forty-year career but the one that seems dearest to his heart is the classic bop trio, as defined by Bill Evans in the early 1960s. (In Getz's group, Kuhn played alongside Evans' genius bassist Scott LaFaro, and the experience deeply marked him.) Evans, in fact, can be heard all over Pastorale: in the close adhesion of the players; in the disc's lovely, swinging lyricism; and in the easy, forward flow of the music. The presence of Eddie Gomez, who logged a decade with Evans after LaFaro's tragic death, only brings the late, great jazz idol further to mind. And yet, as strong as the Evans influence is, it's a touchstone and nothing more; on Pastorale--as always--Kuhn remains steadfastly himself. Even at his most sweepingly romantic--as on Walter Donaldson's “I'll Take Romance or the wistful Kuhn title composition which closes the disc--Kuhn never slips into sentimentality. (Indeed, few other pianists could invest Henry Mancini's “Charade with this much melancholy and not have it drift into shameless self-pity.) And the joyous, tripping swing that floats standards like Irving Berlin's “Remember and Jack King's “How Am I To Know has a plush ebullience that's all Kuhn's own. Anyone who has seen Kuhn live knows the jaw-dropping fireworks of which he's capable. Pastorale, in contrast, is a quiet disc, never rising above a mid-tempo lilt. But it doesn't have to. Listen closely and all the same Kuhn pyrotechnics are subtly there: the abrupt tempo changes within a single measure; the sudden plonking of a sole, indispensable note; the razor-sharp harmonic intelligence; the formalist's attention to space and dynamics; the deep dollops of blues; the tossed-off, tightly crunched flourish. And, no surprise, he's exquisitely matched here by old hand Gomez, whose solos are models of graceful conciseness and veteran skinsman Billy Drummond, who punctuates and colors with wondrous elegance. In sixty minutes there's barely a wasted note and the three musicians play with the telepathic rapport that's both expected and essential in this kind of work. Charade; Remember; Years Later; Once Upon A Summertime; How Am I To Know? ; My Buddy; I'll Take Romance; I'm Glad There Is You; Pastorale. Steve Kuhn: piano; Eddie Gomez: Bass; Billy Drummond: drums.